Now is the time for investors to sell money-losing ETFs and stocks to offset capital gains in the current calendar year, Ron DeLegge writes. For most retail investors, the subject of reducing taxes on their investments tops the list of boring conversations. In other cases, it’s a topic that either never comes up or takes a backseat to other concerns. Investment clients are too busy dreaming about all the ways they’re going to trounce the stock market with the help of their favorite company or fund manager, but then, with the help of their discerning advisor, they make a most unwelcome discovery: unrealized losses within their taxable investment portfolio! As 2015 comes to its conclusion, now is the ideal time to talk with clients about reducing this year’s tax bill. And to that end, ETFs can play an important role. Simply put, it’s all about harvesting tax losses. 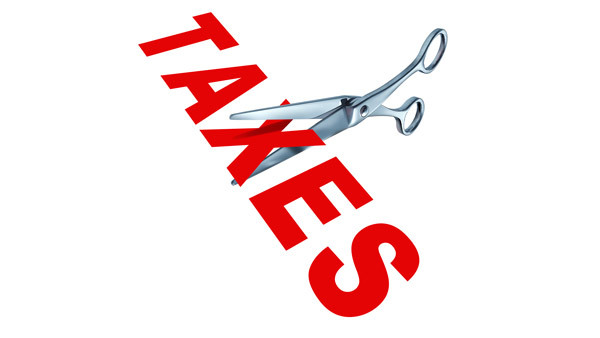 The mechanics of tax-loss harvesting aren’t complicated but still require some explaining. Let’s look at a simple example. Let’s suppose you have client with a $10,000 long-term gain in Investment ABC and a $7,000 loss in Investment XYZ. By selling both investments during the same year, you can help your client to cut their tax bill from $1,500 to just $450, which works out to a tremendous 70% savings! What’s the math behind the numbers? Selling the $10,000 position in Investment ABC would trigger a long-term capital gain of 15% or $1,500. That capital gain, however, is offset by smart planning (tax-loss harvesting) and coordinating the timing of the sale of Investment ABC with the sale of the $7,000 loss in Investment XYZ. As a result, the net taxable gain is reduced to $3,000 which is then taxed at a long-term rate of 15%. The resulting tax liability works out to just $450. The first key to making tax-loss harvesting work is to identify and match up investment winners with losers. The next step is to coordinate the sale of the winners and losers to make sure the transactions happen during the same calendar year. Although the actual dollar figures in tax savings used in this case study may not seem big, they are significant, especially when compounded over the years. Also, the financial stakes are increased considerably with larger investment portfolios held in taxable accounts. Each year is uniquely different from the next, thereby creating a new list of investment winners and losers. With 2015 already near complete, what type of assets might be ideal candidates for tax-loss selling? Clearly, anybody with a stake in commodity related sectors like energy stocks (XLE), gold miners (GDX), natural gas (UNG), and crude oil (OIL) are candidates for tax-loss selling. Stocks from emerging market countries like China and Brazil have been hit hard this year, creating another category where tax-loss harvesting makes sense. Likewise, investors with positions in volatility (VXX) – which has posted year-to-date losses — could be included in that list of tax-loss selling possibilities. The same can be said of traders who have been shorting stocks with inverse equity ETFs that use two to three times daily leverage. On the individual company side, stocks such as Freeport-McMoRan (FCX), Valeant Pharmaceuticals (VRX) and Twitter (TWTR) have been clobbered this year and make for excellent tax-loss harvesting candidates. Wash-sale rules don’t allow investors to realize a loss if they repurchase the same security within 30 days. This obstacle, however, can be overcome. One way is to redeploy the loss proceeds of an individual stock into an ETF in the same sector as the stock. For example, after realizing a tax loss in Valeant Pharmaceuticals (VRX), the investor can redeploy the sale proceeds in a related healthcare fund like the Sector SPDR Healthcare ETF (XLV) or SPDR S&P Pharmaceuticals ETF (XPH). Another tip is to not be overaggressive with how you harvest losses. For instance, it’s crucial the repurchased asset with similar exposure to the harvested security not be substantially identical. This will help you avoid running afoul of the wash-sale rule. In the case of two funds or ETFs from different fund companies that track the same index, it’s probably safest to repurchase a fund whose performance correlates closely with the harvested fund but tracks a different index benchmark. Taking losses always hurts, but coordinating the sale of your clients’ losers with their winners, using the ETFs in your toolbox, can lessen the pain. Taxes and Appreciated Securities: When Should You Sell?